– Of the six Indigo’s, 8905, 8932 & 8967 were confirmed. 8896, 8905 & 8922 were assumed being the only other three having been seen in production here recently. 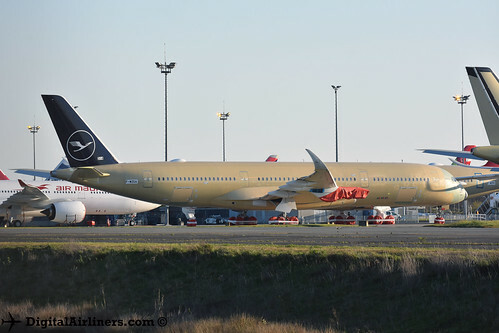 – 9M-RAP is assumed to be 8874 (HS-CBL ntu) as this is the only Air Asia in flight test at TLS currently. 0285. F-WZNZ. 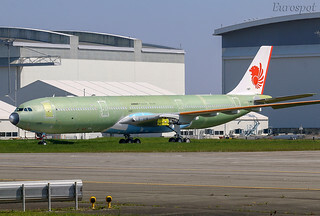 A350-941. 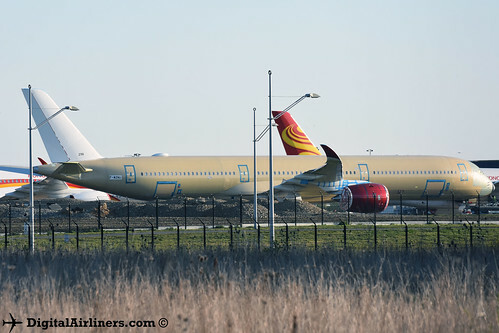 Hainan Airlines. to. 380 ramp (north). 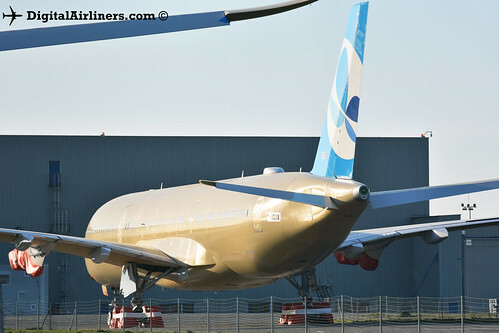 Various primer ATRs with stencil details only applied were noted but not confirmed. 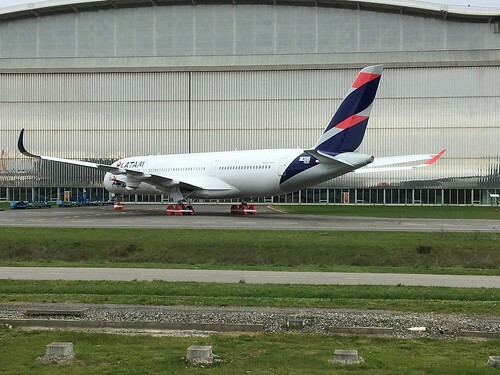 Three outside the production hall, one on FL (facing north) and two on the midfield ramp near the A320 fuselages. Appearing behind the Wings ATR on flightline mis afternoon was.